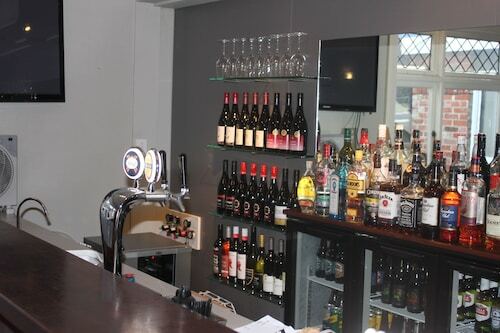 Situated in Alexandra, this hotel is within 1 mi (2 km) of Alexandra Museum and Art Gallery and Roxburgh Gorge Trail. Alexandra Golf Club is 1.4 mi (2.3 km) away. 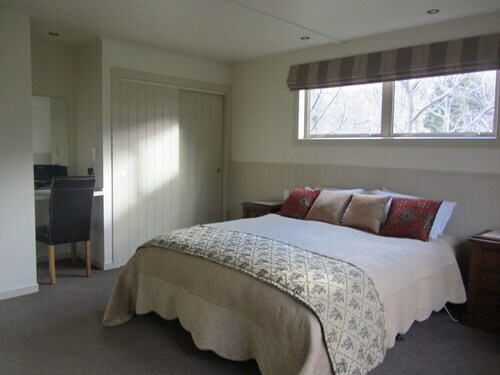 Situated in Alexandra, this chalet is 1.2 mi (1.9 km) from Alexandra Golf Club and within 6 mi (10 km) of Roxburgh Gorge Trail and Clyde Dam. 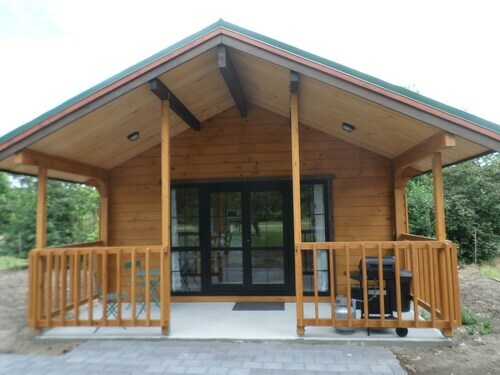 Black Ridge and Mitchells Cottage are also within 12 mi (20 km). 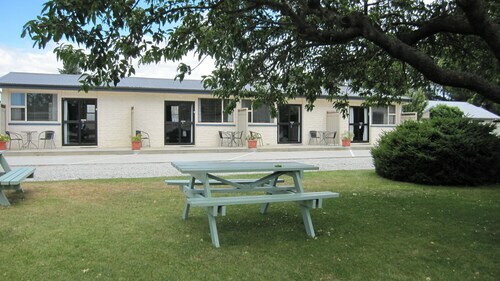 Situated in Alexandra, this golf motel is within 2 mi (3 km) of Alexandra Museum and Art Gallery, Alexandra Golf Club, and Roxburgh Gorge Trail. Black Ridge and Dunstan Golf Club are also within 6 mi (10 km). Situated in Alexandra, this motel is within 1 mi (2 km) of Alexandra Museum and Art Gallery and Alexandra Golf Club. Roxburgh Gorge Trail is 1.4 mi (2.2 km) away. The inland town of Alexandra records some of the warmest summer temparatures in New Zealand, and is a well sought-after holiday destination. 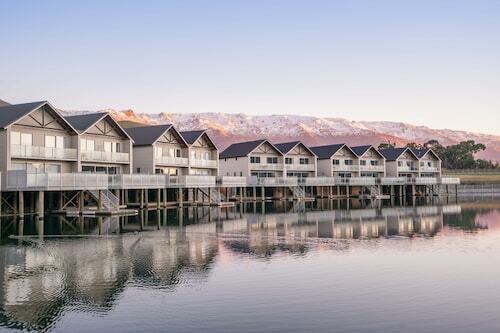 A veritable oasis of trees and buildings in the rocky Central Otago region, the region is well served by our range of Alexandra accommodation. While the town originally boomed in the 1800s thanks to a gold rush, today Alexandra owes its prosperity to orchardists and fantastic wine producers. Use our range of Alexandra accommodation to explore both the past – by visiting the gold trails – or the present… with a wine tour or two. With a great range of Alexandra hotels located throughout the region at great low rates, you can rest assured that there will be something that meets your needs below. So go ahead and book your Alexandra accommodation with Wotif.com today! How Much is a Hotel Room in Alexandra? 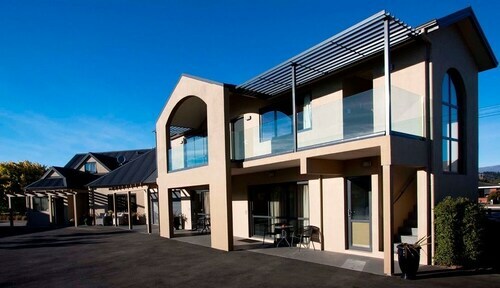 Hotels in Alexandra start at NZ$90 per night. Prices and availability subject to change. Additional terms may apply. Good value for money. Nice hosts. Warm and comfortable. Beds were confy.